Formulated without phosphate, without colouring agent, without anionic surfactant, EDTA, BHT, Paraben, it is natural and soft for the linen and the skin. 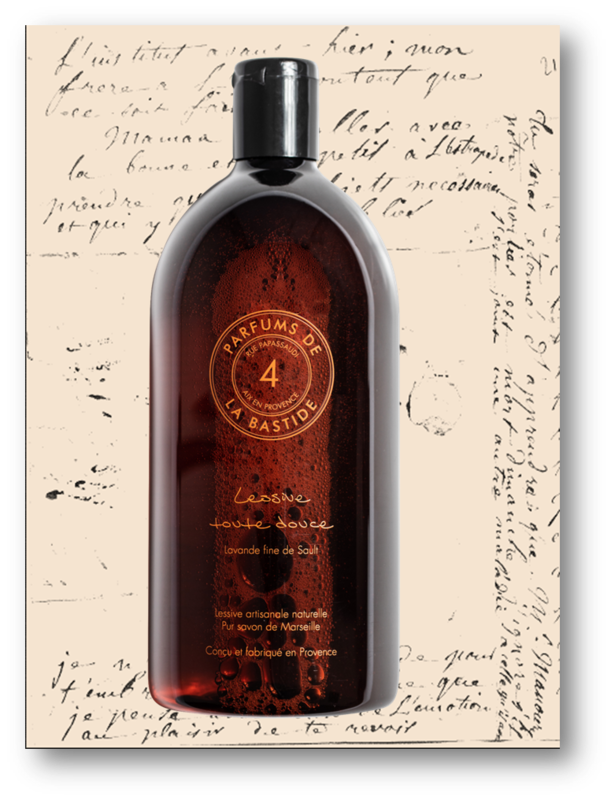 Presented in a large amber bottle, it is the natural and artisanal laundry par excellence. Its simple formula is naturally washable: contains up to 12% of liquid soap - a component inexistent in the regular detergent - and is formulated without the additives used in many detergents on the market. 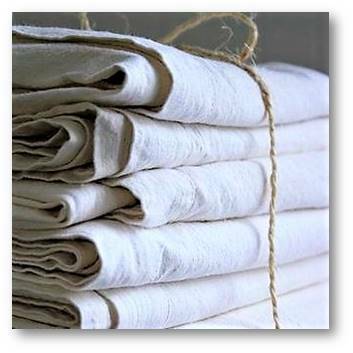 Being very soft for the linen, there is no point in adding softener. It respects all types of textiles, even the most delicate ones (wool, silk...), for a hand or machine wash. It is effective on colour, black or white and at all temperatures from 20°C up to 95°C. It allows 22 washes, for a moderately dirty linen and a little hard water. Its presentation in amber and silkscreen soft plastic bottle make it a beautiful product that you do not need to hide in the laundry room. A nice idea for a useful and original gift! Lightly opaque, the bottle retains all the olfactory quality of the perfume concentrate. 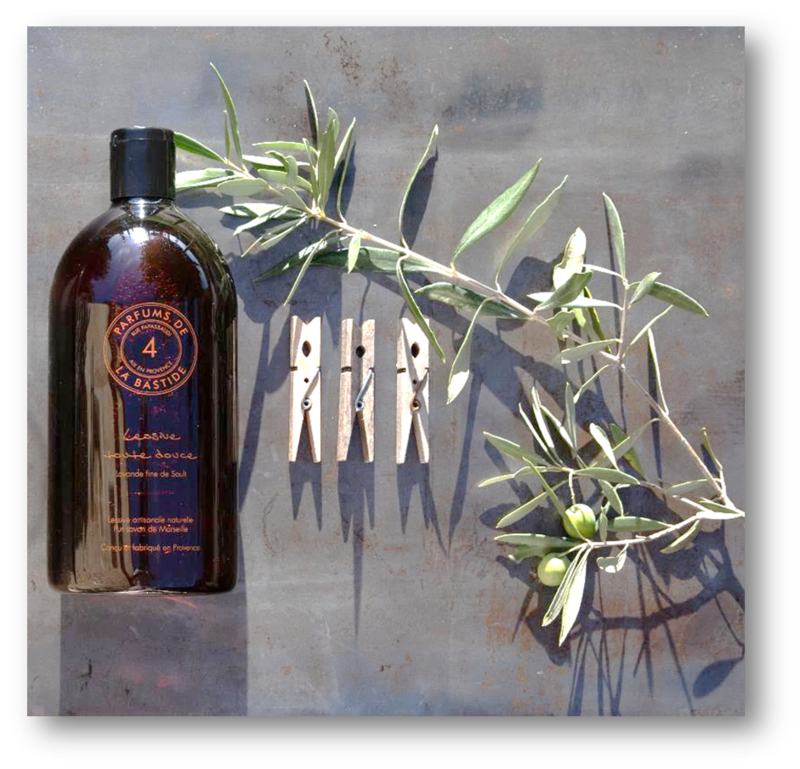 Lessive toute douce is a “pur savon de Marseille” detergent, made by our master soap maker near Manosque, with the old-fashioned olive oil and copra. In an identical process as the liquid soap, it's produced with 12% of saponified vegetables oil. Formulated without phosphate, dyes, anionic surfactants, EDTA, BHT and parabens, it is natural and soft to the skin. It's also fragranced with a perfume concentrate mainly composed of natural essences. Made in Provence in the respect to the environment, whether it be the manufacturing process or emissions into the environnement, its formula isn't only gentle but also over 95% biodegradable. Using this product and following the instructions is playing a part in reducing the pollution of water, the production of waste and the over usage of electricity. In Provence, water is a renowned gift of towns and villages but also the wealth of families who are owners of a source. Each drop of water is worth gold, says Pagnol's proverbs and novels. It's also a common wealth distributed by public fountains and wells. "Wash-houses", located in the heart of the villages of Provence, encouraged get-togethers and exchanges. "Lavandières" or washerwomen met up here to wash the clothes of great masters of the house and notables. They'd tell each other the latest gossip in the region. A witness to the history of Provence and the animation of the villages, the wash-house remains today an oasis of freshness and shade in summer. Lavender was used very early as a perfume for linen. The Romans already added it in their laundry, which is why - very probably - the word “lavandière” was born. The lavandière, after soaping, twisting, beating, rinsing and drying the linen, perfumed it with lavender. We all have in mind the memory of our grandmothers or great grandmothers placing little sachets of lavender in our wardrobes to get rid of dust mites and scent the clothes. Since then, and keeping in line with tradition, despite the flight in laundrettes and washing machines in homes, lavender will always be associated with the freshness of clean linen.